I used the Tropical Green template and it was a perfect match for my party decor! The download and template were easy to use and customize. I definitely recommend Temploola to anyone needing invites, announcements, etc. and will be using again in the near future. Thanks again! Got a summer wedding planned? 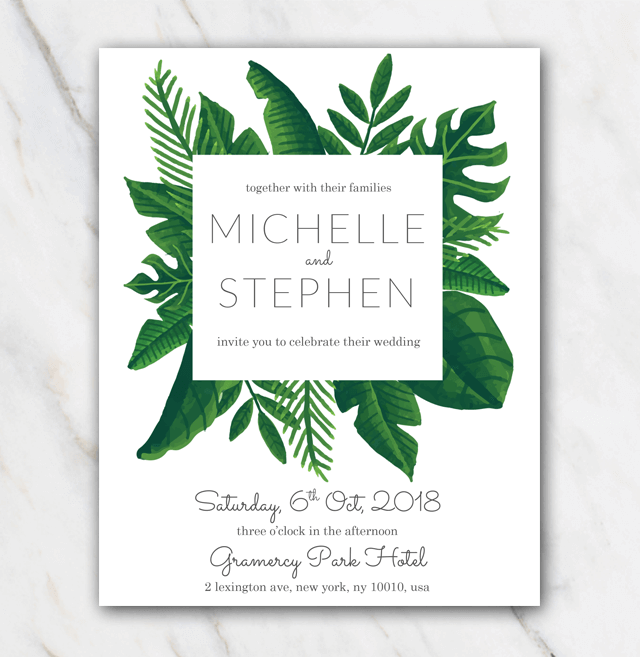 This tropical green wedding invitation looks great and has a nice and vibrant style. Just download the invitation template in Word for free, install the fonts and edit the information as you wish. We have different tropical themed wedding invitations, check out all of our templates!